New to computer based music? Don't know your MP3s from your FLACs? 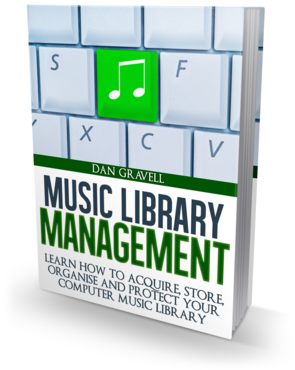 This ebook introduces you to the essentials of building, maintaining and protecting your precious computer music library. Thanks for asking for the ebook! If you also asked to receive the email course, can you confirm the sign up in an email my server just sent to you? We need your email address to send you a link to your ebook. You'll get the email course only if you opt-in by ticking that checkbox above. The course is free, sends one email a week for a month and you can stop delivery at any time. We hate spam as much as you, and we wouldn't spam other people. The ebook is great – already passed it onto a friend who is about to embark on getting his library digitised. The MLM ebook was written by the music organisers extraordinaire at elsten software limited, creators of bliss, the fully automatic music library organiser. This ebook is ideal for new owners of music servers and networked home music systems such as Sonos or Squeezebox. Best practice for ripping CDs, including a discussion of lossless versus lossy music files and how to avoid common pitfalls. The best ways of finding, purchasing and downloading music on the Internet, with a focus on acquiring lossless audio. Where and how to store your music files. How each file format differs in the space they consume, industry trends in home digital storage and how different types of hardware devices can be used to store music files. Making your collection easily browseable and searchable. How to correct mis-labelled music, fix inconsistencies in musical metadata and find metadata where it is missing. How to name and organise the music files and folders themselves. Importantly, how to find and install album artwork. The different threats that can affect your music library, accidental, malicious, human, machine, physical and digital! Ways of mitigating the risk, discussing file system authorisation and backups; automation, scheduling and location.